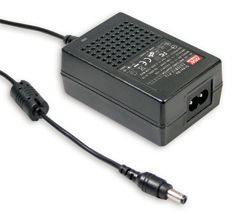 Medical grade power supplies from Avanti are extremely versatile units suitable for a large range of non-patient contact medical applications, IT equipment and general electronic use in a medical environment. Ranging from power adaptors and desktop power supplies through to miniature units and open frame modules, Avanti can always deliver the right power supply for your needs. Our high quality range of medical grade power supplies are available as General PCB, on board, enclosed and desktop and range from 5W through to 450W. They are all specially designed with low leakage current or low no load power consumption, with protections against short circuit, over load and over voltage as standard. All of Avanti’s medical grade power supplies fully comply with a medical industry safety standard and are highly robust and reliable. Not what you were looking for? Just give a member of our sales team a call.